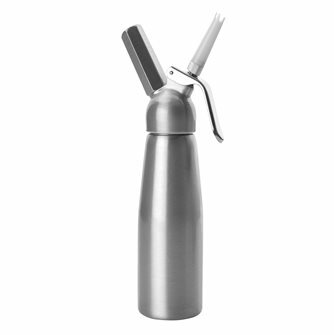 Siphons for chantilly cream, fruit or vegetable mousses and foams. Box of 50 cartridges for cream siphons. Box of 50 cartridges of N2O - 8g for a whipped cream siphon. 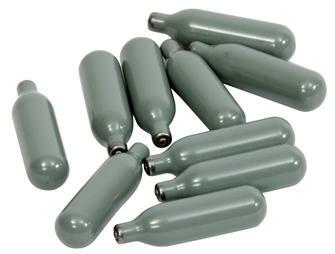 Box of 10 cartridges for cream siphons. 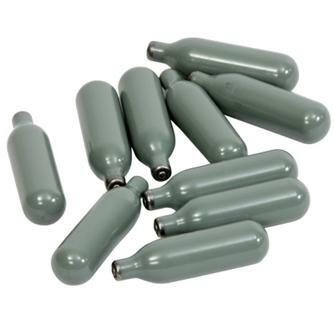 Box of 10 cartridges of N2O - 8g for a whipped cream siphon. Siphon cream aluminum with lacquered interior coating guarantee food contact. 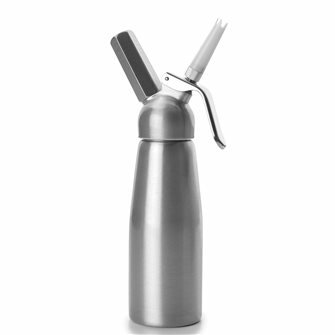 Capacity of 0.5 l.
Siphon cream aluminum with lacquered interior coating guarantee food contact. 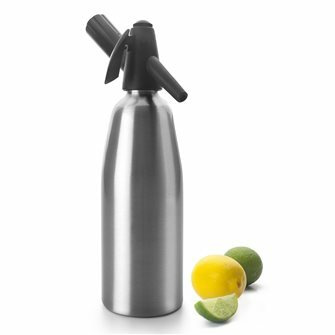 Capacity of 1 l.
Aluminum siphon with a capacity of 0.8 l, for a homemade soda.